Oroton's latest campaign photos are truly outstanding in the subtle sense. After last season's campaign with supermodel Daria Webowy, Oroton has taken to choosing real women with their unique sense of style and featuring them for their newest campaign, shot by famous streetstyle Tommy Ton (Jak&Jil). 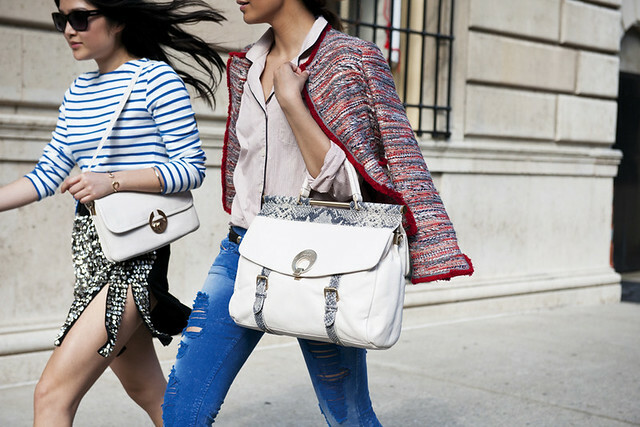 Set in the picturesque stretch of Manhattan’s Upper East Side, the campaign conveys a street style off guard feel, with the attention primarily placed on the accessories, styled by Taylor Tomasi Hill, US Marie Claire accessories editor (whom I love for her innovative style). Tommy Ton once again works his magic in capturing intimate moments of his subjects, at the same time showing off the intricate details and luxurious material of Oroton bags and jewelry. Although Oroton is not the pioneer to work with streetstyle photographers for a campaign, I still feel that the casual element in these photos show off how these women carry off their style with ease and how they have incorporated Oroton's designs into their daily lives. The images draw people in and seem more intimate than your usual campaign photos featuring a supermodel with perfect hair and makeup, prominently showing off a handbag without any sense of real styling. I was invited to Oroton's exlusive bloggers cocktail event, where I got to touch and feel their latest collection of bags, shoes, jewelry and quality knitwear. Creative Director, Ana Escobar, was specially flown in to explain her inspiration behind the newest A/W 11 collection. Ana was inspired after a trip to Paris, when she saw Carolina Herrera and was struck by how beautiful she looked, which prompted her to design bags using luxurious materials for royal moments in womens' lives. I especially liked the use of leopard prints printed on pony hair made into bracelets, belts and ballet flats. Another favourite is the Luca satchel in Nougat and Canvas, featuring a polished three toned dressing using linen and nappa leather. The soft pale pink colors make it the perfect accessory for ladylike dressing, while still staying practical enough for all the things a working woman brings around. But the larger part of my faves actually came from their jewelry collection. With its large semi-precious stone set in gold worked into rings and bracelets, knotted gold chandelier earrings, leather cuffs with metallic chains...the jewelry can be styled with an evening gown to finish off an elegant, classy look, but can also be paired with friendship bracelets and denim for a casual day look. The bloggers were invited to choose any 5 items from the boutique and style them based on what we were wearing. I immediately gravitated towards the cream snakeskin oversized clutch, leoprint print pony hair cuff and ballet flats (you know I'm a sucker for anything leopard) and their 100% merino wool wrap cardi that felt extremely soft. Wearing it felt like I was delicately wrapped in a cotton blanket. 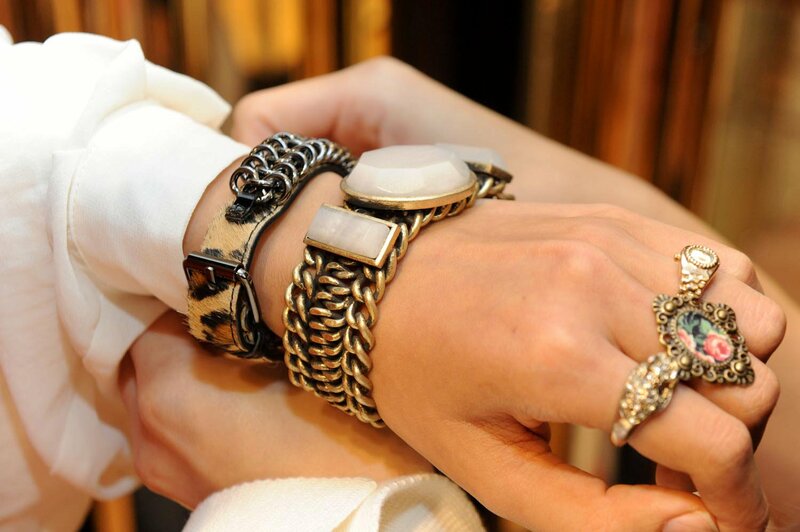 Ana Escobar herself selected a gold chain bracelet with semi-precious stones set into it. Vote for my look by leaving a comment here please! 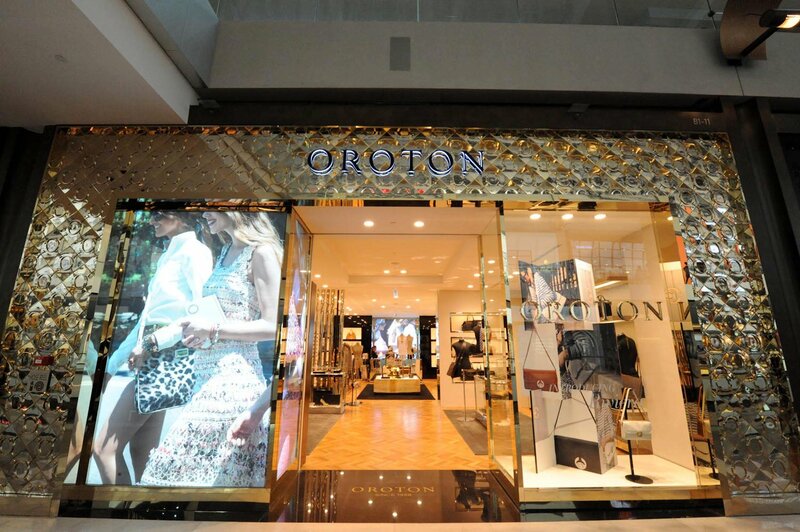 You have to like Oroton's facebook page first. Below are my other picks from Oroton's in-store collections. 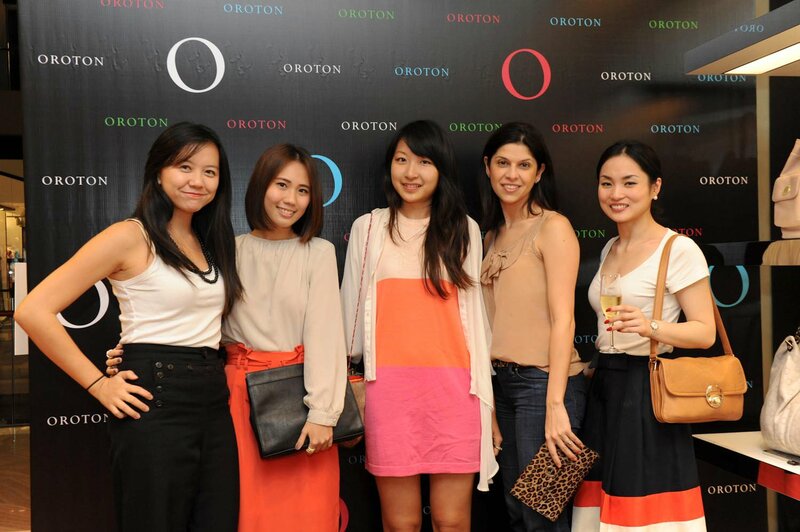 Event images credit to Oroton's facebook page. has giorgio sent you anyone of your pictures?